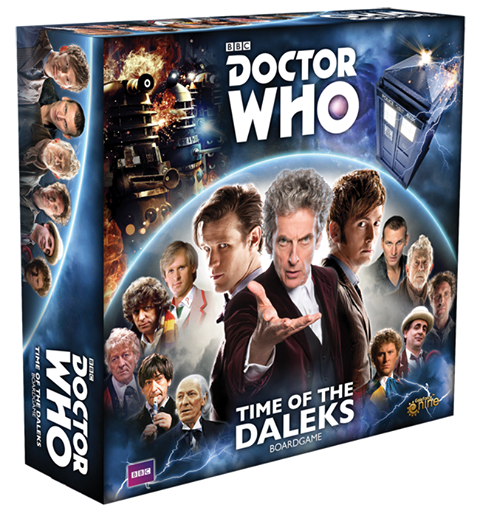 In Doctor Who: Time of the Daleks, players take on the role of the Doctor, traveling throughout time and space, finding new companions and having adventures to repair the web of time. Players do this by overcoming challenges. 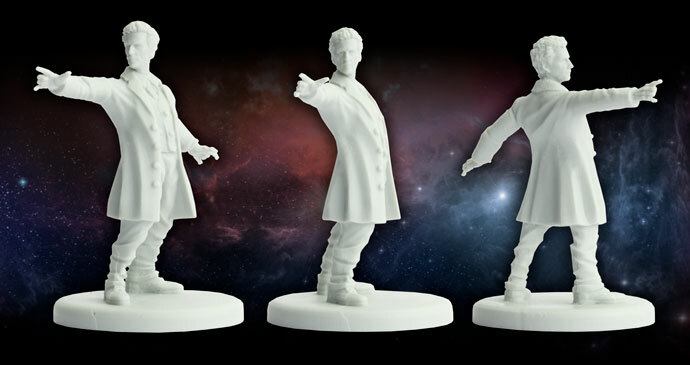 The Doctor can overcome most challenges he encounters, but he always needs his Companions to help give him an edge. 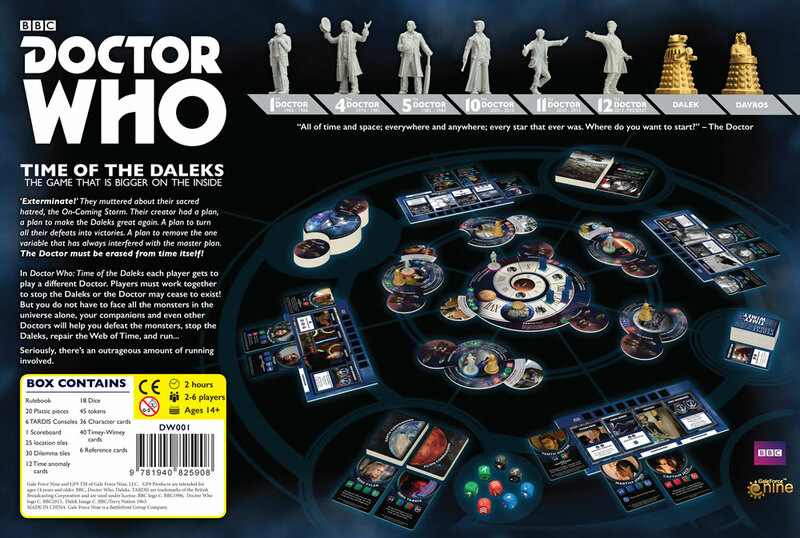 Players must cooperate to stop the Daleks, while trying to get their TARDIS to Gallifrey first, to prevent Davros from invading the Matrix in the first place. 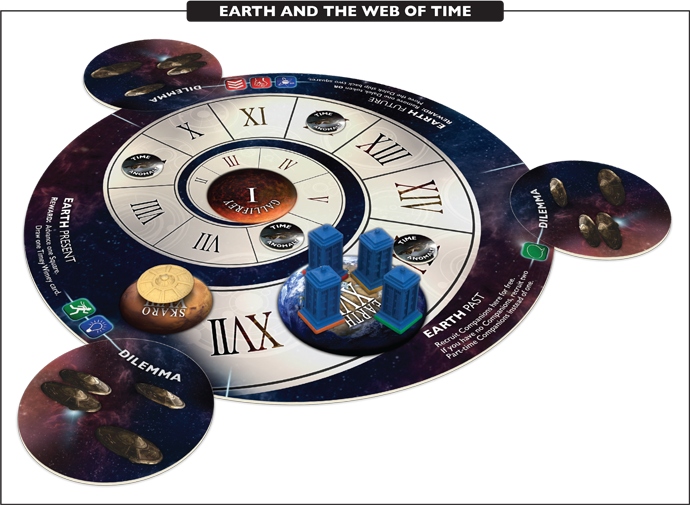 The Web of Time is used to monitor progress in the game, as the Doctors and Dalek progress towards Gallifrey. 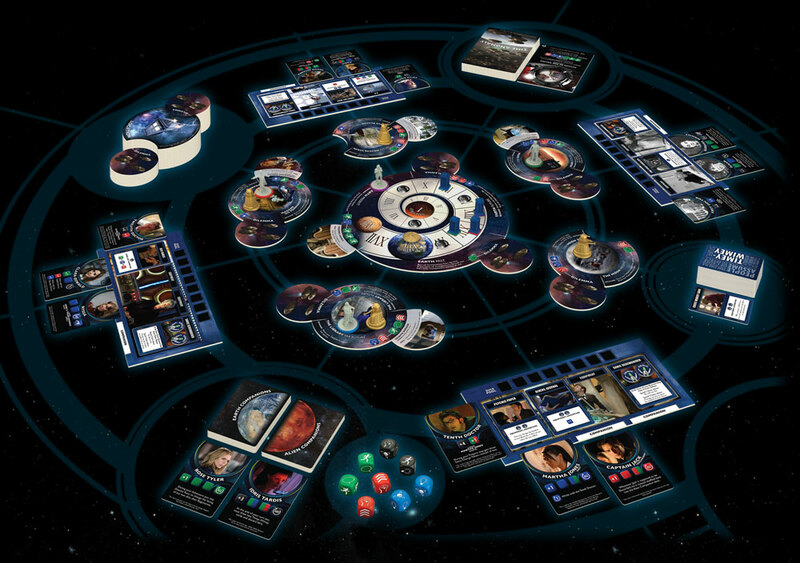 If the Daleks get to Gallifrey first, the Doctors Lose the game, if a Doctor gets there first, the Doctors win the game. Somewhere, sometime, the Cloister Bell echoed throughout the heart of the TARDIS. The Doctor started to feel a twinge, slowly turning into a searing pain. Daleks. The Doctor could see them in his memories but they were never there, that never happened. Why is Davros in the matrix? 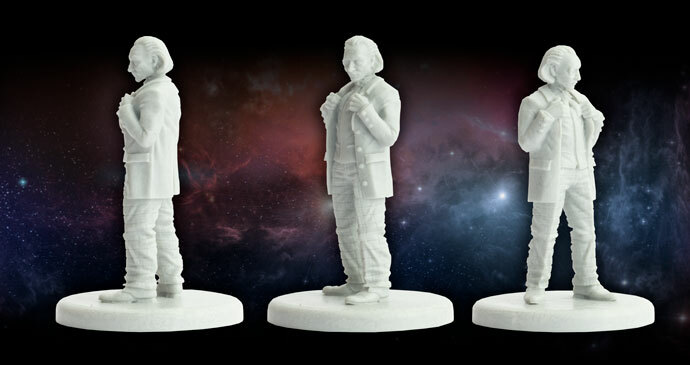 Why is he on Gallifrey? “Doctor!” Clara screamed as she saw the Doctor vanish into thin air and reappear seconds later. “I don’t want to alarm you Clara, but I may be ending.” The Doctor grasped his hearts and sank to his knees, fading in and out of reality. “Clara, my Clara, of course, I’m not dying. I simply stopped existing for a moment. Someone is re-writing my his…” fading again, “…tory, Daleks, I see them, they’re everywhere.” The Doctor fell to the floor. “Doctor!” Clara yelled. 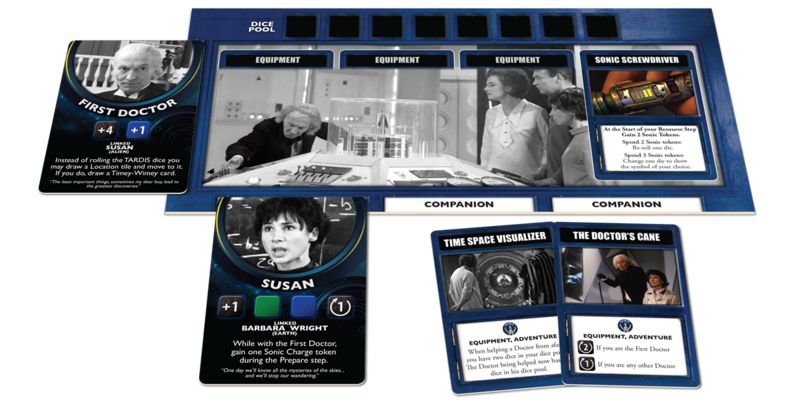 As she ran to his side a hologram of the First Doctor appeared in the TARDIS. And with that, the hologram winked out of existence. 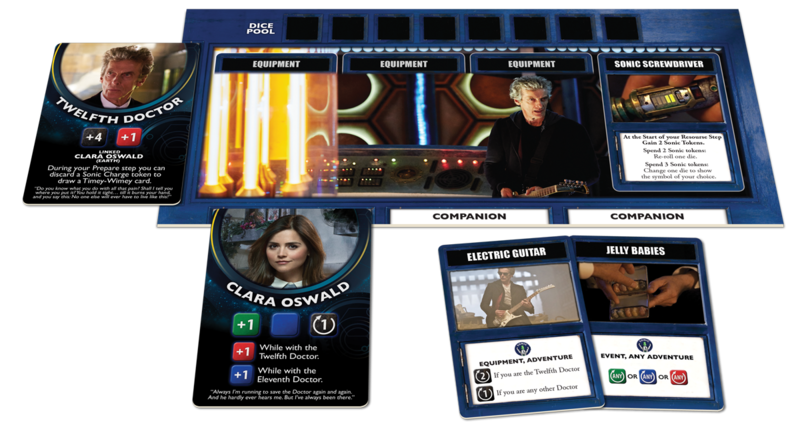 “I am stable now Clara, but no, Clara, I am far from alright.” The Doctor started frantically pushing buttons and twisting dials on the TARDIS. “And if I don’t do something soon, I will never be anything again. 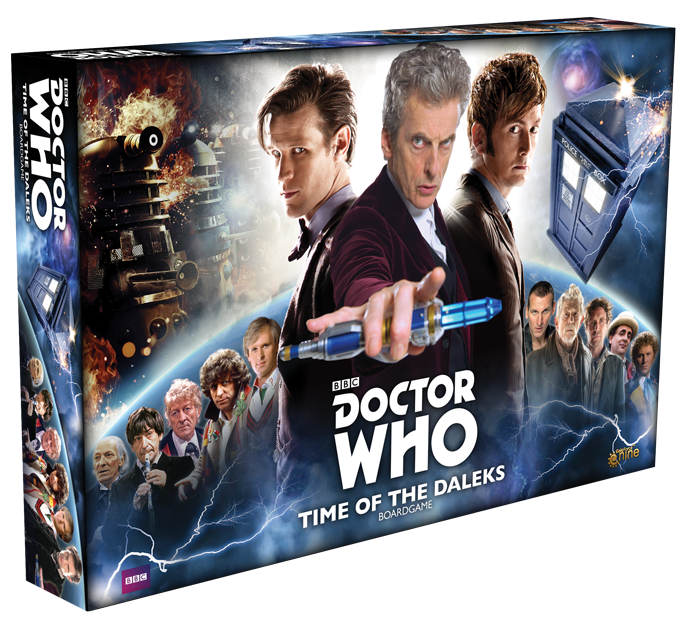 You might want to hang on for this bit.” Pulling a lever, the TARDIS lurched forward spinning ever faster through the time Vortex.